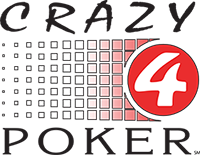 Crazy 4 Poker®is a registered trademark of Bally Gaming, Inc. and is used with permission on this website. .
Crazy 4 Poker is a poker variant table game. The objective of the game is to have a higher ranking hand than the dealer. There are four betting positions on the layout: Ante, Super Bonus, Queens Up, and Play. The ante and super bonus are mandatory wagers and must be of equal amounts. The queens up is optional in which any amount within table limits can be bet, subject to house rules. The dealer gives each player and his or herself five cards face down. Players’ must then decide to play or fold depending on the strength of their hand. When folding, the player forfeits all bets. 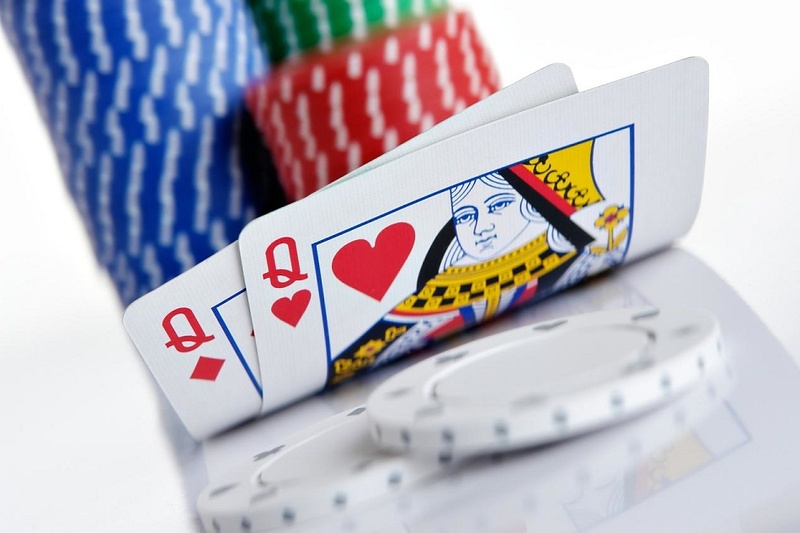 If the player decides to play, s/he must place an additional play wager equal to the ante.When the player has a pair of aces or better, s/he has the option to raise up to three times the ante, if not, the bet amount must equal the ante. The dealer then reveals his/her hand and compares it to all player hands. The dealer must have at least a king or better to qualify. If the dealer does not qualify all players that wagered win even money on the play bet and the ante pushes. When a player beats a dealer’s qualifying hand the player(s) win even money on the ante and play. If the dealer qualifies and his/her hand beats the players’ they lose both wagers. A simple strategy when playing Crazy 4 Poker is to make a small raise with a Q-8-4 or higher, make a large raise with a pair of Aces or higher, and fold all other hands. The house edge is about 3.4%. This site is for educational purposes to learn, practice, and master. Books and videos about poker can be found on Amazon. Direct link from this page to purchase. Additional publications about casino gaming and other products can also be found on Amazon. Click on the link(s) below to purchase.